A lean physique is a goal of many dieters and the primary purpose for which many people spend time at the gym. Sometimes, people exercise for hours, other times people dedicate themselves to trial-and-error weight-loss techniques that show results with varying degrees of success. When dieting, it’s important to understand that there is a constant push and pull between physical activity and nutrition. To achieve results at the gym also requires properly monitoring your food intake on a daily basis. Healthy eating techniques pair perfectly with an exercise routine to encourage weight loss and enhance muscle tone. When adopting strategies to keep your body lean, it is important to understand that the body requires both dedication to specific programs and challenges. If not, the body can plateau and find it difficult to burn off extra fat. The following post is meant to educate those seeking a lean physique about some of the best scientifically-proven techniques that stimulate weight loss and sculpt a leaner body. Intermittent fasting is a controlled eating schedule that places limitations on when an individual will eat. Typically, an intermittent fasting cycle restarts each day. In other cases, the fasts can be distributed throughout the week. During this kind of fast, a dieter opts to eat during only short time periods during the day and fasts for the remaining hours. The most common versions of this diet skip breakfast and only permit the individual to eat during the eight hours between lunch and dinner. Only eating around dinnertime is a more restrictive, but common option. The main idea of this diet is that the fasting period lowers blood sugar levels, increases human growth hormone, and it encourages fat burn. Essentially, during the fast, the body relies on burning its glycogen stores and later resorts to using fat cells as fuel. Coupled with an appropriate exercise program, an intermittent fasting diet can help your body shed weight quickly and add new definition and tone to your exercised muscle groups. When following this diet, make sure to select workouts that are appropriate for both fasting times and feeding times. During the hours that you are fasting, exercise should be limited to light cardio to encourage fat burning and prevent fatigue. Weight training can also be performed during the fasting period, but it is best to lift weights before your meal times to encourage muscle growth. High-intensity cardio exercise is best to reserve for after your meals once the food has digested. Appropriately scheduling your workouts on this diet helps to prioritise the best periods for burning fat and guaranteeing muscle growth and repair. Cardiovascular exercise is a proven method for burning a lot of calories in a short period of time. There are so many different options and intensities available for cardio exercise. Outdoors, these exercises could be as simple as walking at a brisk pace, running, and biking. At the gym, you have the choice of using the treadmill or any of the available elliptical machines. Yoga, pilates, and other calisthenic exercises can also get your heart rate pumping and burn calories. With cardio exercise, a good strategy is to calculate and keep record of your calories burned. It takes a deficit of 3500 calories to shed one pound of fat. 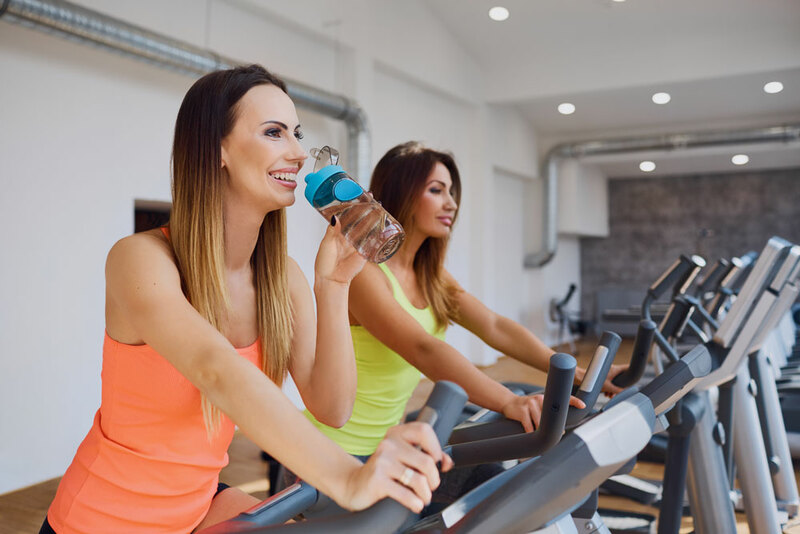 If you dedicate yourself to a cardio-oriented exercise program along with a healthy diet, you should aim to drop no more than 1-2 pounds per week in order to healthfully reach your goals. As mentioned in the discussion of intermittent dieting, performing light cardio on an empty stomach has a higher fat-burning potential. High-intensity interval training is also an effective strategy requiring short, explosive bursts of energy. Sprinting and tabata workouts are perfect examples of this kind of exercise. If you are adding HIIT exercises to your program, be sure that your training is scheduled to allow for food digestion beforehand. For high-intensity cardio, muscle glycogen stores should be fully restored beforehand to ensure an effective workout and to prevent injury. Strength training is another great option to build a lean physique. There are two viable strategies here for strength training, and they really just depend on your current body composition. If you have been trying to lose a lot of weight and are noticing areas of your skin that are struggling to tighten up, heavy weightlifting sessions might be the best option for you. Heavy lifts encourage the growth of denser muscle tissue, which can help add definition to sagging skin. For those who are already leaner or who have prioritised cardio activity, high repetition weight training can work best. Completing higher repetitions builds endurance, which can also help during long cardio sessions. Furthermore, this kind of strength training can help tone areas not targeted by cardiovascular exercise and help create longer, leaner muscle tissue. Green tea is one of those health obsessions that never seems to fade away. This is because it works! Studies have shown that green tea can raise your daily metabolic rate by up to three percent. The tea also contains a robust supply of flavonoids and antioxidants, which stimulate your body’s natural capacity to remove toxins and shed fat. In total, green tea increases your daily energy expenditure, boosts the body’s fat-burning hormone production, prolongs fat-burning periods, aids in recovery, and it gives your immune system an added boost. Recommendations suggest that those supplementing their diet with green tea should drink about three cups per day to reap the full benefits. Green tea can also be found as an ingredient in many vitamins and weight-loss supplements for even easier access to this powerful fat-burning tool. A ketogenic diet is different from intermittent fasting and should not be confused with a paleo diet. A ketogenic diet requires a macronutrient overhaul, minimising your consumption of carbohydrates and placing the priority on fat and protein consumption. 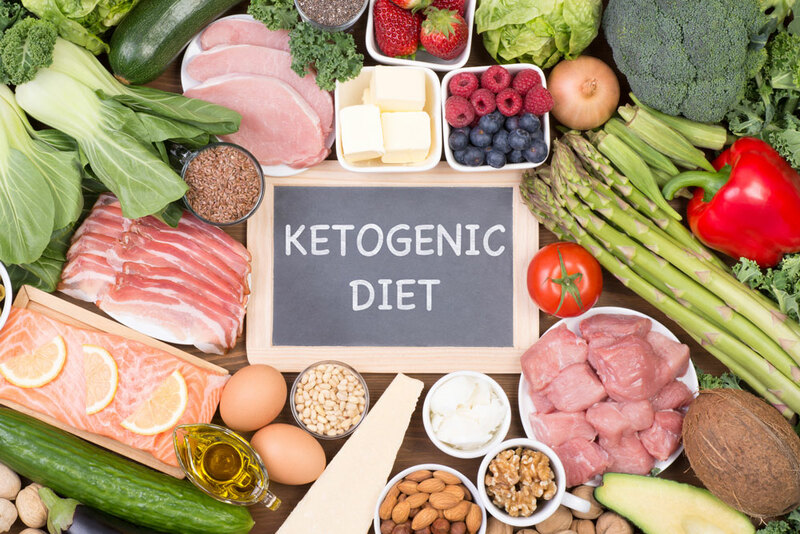 The objective of a ketogenic diet is to cause your body to eliminate glycogen stores from your muscle tissue, thus relying on stored fats as fuel. This process is called ketogenesis. The body requires some additional time to transition into this state before seeing results. A high-fat diet might seem like a dieter’s nightmare and completely contradictory to weight-loss goals. However, this kind of diet sheds weight quickly for two reasons. First, once the body switches into ketogenesis, it first experiences a rapid initial weight loss by dropping water weight. Many people who start a ketogenic diet are amazed to have lost almost ten pounds or more during the first week of this diet. Second, after the initial loss of water weight, the body reaches a new state of homeostasis and it adapts to burning fat instead of carbohydrates and glycogen stores for energy. This means that the true fat burning does not occur until the subsequent weeks of this diet. In addition to achieving a lean physique, people who have adapted to a ketogenic diet have reported better focus, mental clarity, and increased energy. Receiving enough sleep comes with a multitude of health benefits. However, in addition to providing your body with adequate rest and recovery, it also promotes a healthy metabolism. Studies have shown that people who receive more sleep burn more fat, preserve more muscle, boost their metabolism, and suppress hunger. When the body consistently does not receive adequate sleep, the effects are detrimental. The metabolism slows down to burn fewer calories. Consequently, the body stores more fat tissue as energy reserves. Some people might swear that they function just fine on 5-6 hours of sleep per night. However, in order to keep the body working efficiently, a goal of 7-8 hours is ideal. Apart from exercise and the gym, controlling your macronutrient consumption on a daily basis is one of the key factors in sculpting a lean body. The mathematics of this are simple. If you burn more calories than your body consumes, you will lose weight. While some of the specific diets mentioned above are designed to specifically accelerate fat loss, understanding your macronutrient consumption is the simplest way to get your diet under control and see results without extreme restraints. Macronutrient ratios vary per person based on their current weight, physical activity, body type, and weight-loss goals. However, a diet based on 35-50 percent proteins, 35-50 percent carbohydrates, and 15-30 percent fat makes for a good general guideline when coupled with routine exercise. On average each day, women should aim to consume 1500 calories and men should not exceed 2000 calories to maintain a proper calorie deficit and encourage weight loss. Need help? Why not try some of our healthy, free recipes. In summary, there are multiple strategies available to work toward building a lean body. How you take advantage of these techniques, however, is going to depend on multiple factors and your current progress in your weight-loss program. If you are just beginning, properly understanding your nutrition intake and forming an exercise routine is the best way to build long-lasting healthy habits that are likely to see results. Nonetheless, if you are close to your ideal weight and looking to shed the last few pounds, changes in your routine like intermittent fasting or incorporating high intensity interval cardio might be exactly what you need! Always take time to reflect on your progress and evaluate how diet and exercise programs affect your overall mood and wellbeing. Don’t go at it alone either. You can always discuss with your doctor, a nutritionist, or a personal trainer additional strategies that you can use for losing weight, building lean muscle mass, and achieving your goals.